It's officially summer. In the spirit of kicking back, Good Food revisits some great segments. Shyam Yadav and his gang are saving the world with French Toast. Barbecue master Steven Raichlen explains the 11 commandments of grilling. Living and eating on a container ship -- Rob Long tells us why you'd want to. The five-second rule: fact or fiction? Harold McGee has the answer. Andrew Steiner debunks some cheese myths. The OC's Gustavo Arellano knows how to cool off with some icy Mexican treats. Plus, can a word have a taste? Julia Simner explains a rare condition called synestheisa. 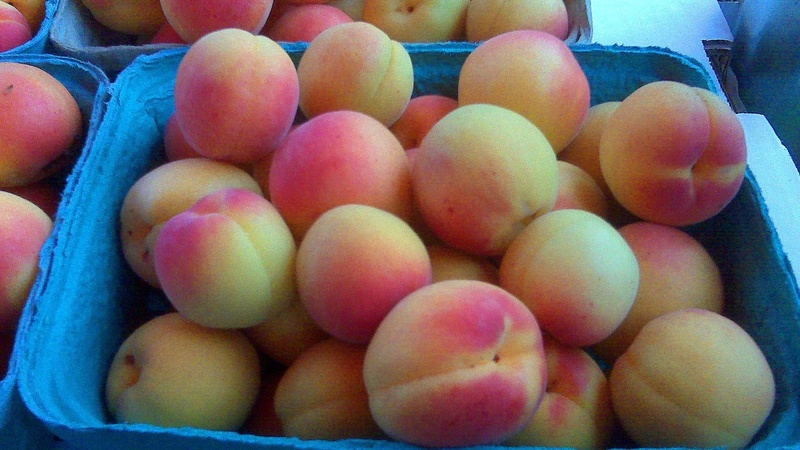 And, Laura Avery talks Blenheim apricots at the farmers market. Blenheim apricots have arrived at the farmers markets. Mike Cironi of Sea Canyon is one of farmers that brings them to the Santa Monica Farmers Market.